Another Maker Faire, my 5th, the 10th in the Bay Area. It is done, it was fun, and I am exhausted. Now the post Maker Faire ennui has set in so I will let it go for a few days and relax as my voice recuperates. My booth, The Sense of Things, had an extra side show this year. In addition to my home automation demo, I included a small table of LED strands triggered through Arduino Micros by various sensors. I first built this set for the East Bay Mini-Maker Faire at the Park Day School in Oakland. 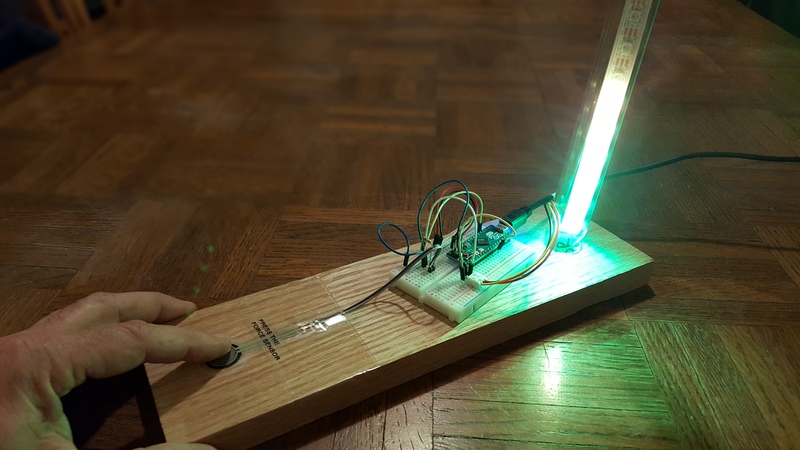 Because it’s a middle school, I tried to create an experience for middle-schoolers where LEDs respond directly to interactively programmed sensors. It was a hit. Children of all ages were drawn to the LEDs like moths to a flame and seemed delighted at what they experienced. Occasionally I would intervene to challenge the participants to think of what they might do with the sensors. The source code for the sensor demo is available on github. I have two very generous friends, Terence Shek and Larry Quantz who stood-in when I needed a break and who would graciously engage the curious attendees. On Sunday I was presented with an Editors Choice Award from Jordan Bunker, technical editor at Maker Media, for my IoT (Internet of Things) demo. 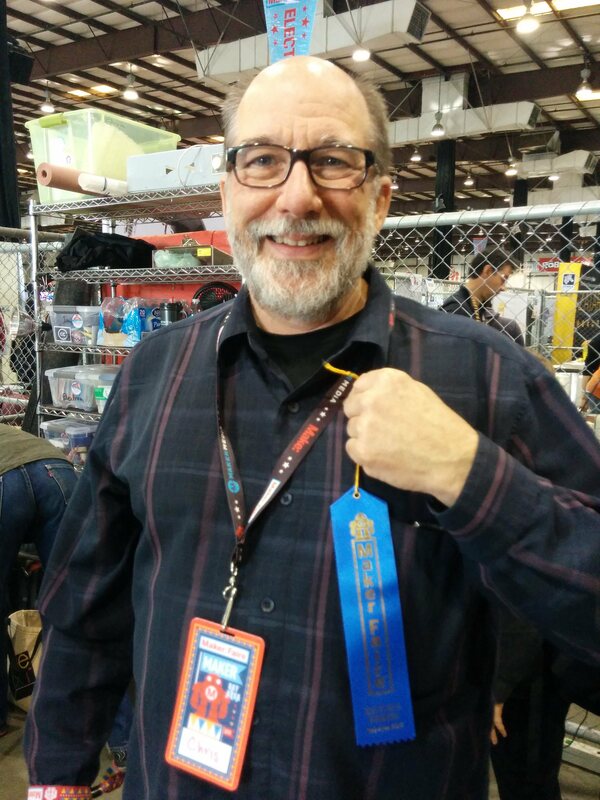 I never really thought about receiving an award at Maker Faire but I was surprised by it and surprised at how it made me feel like all my research, technical struggles, and late nights were appreciated. Thanks to Jordan and Maker Media team members, and the other Makers that put their heart and soul into the Greatest Show and Tell on Earth.